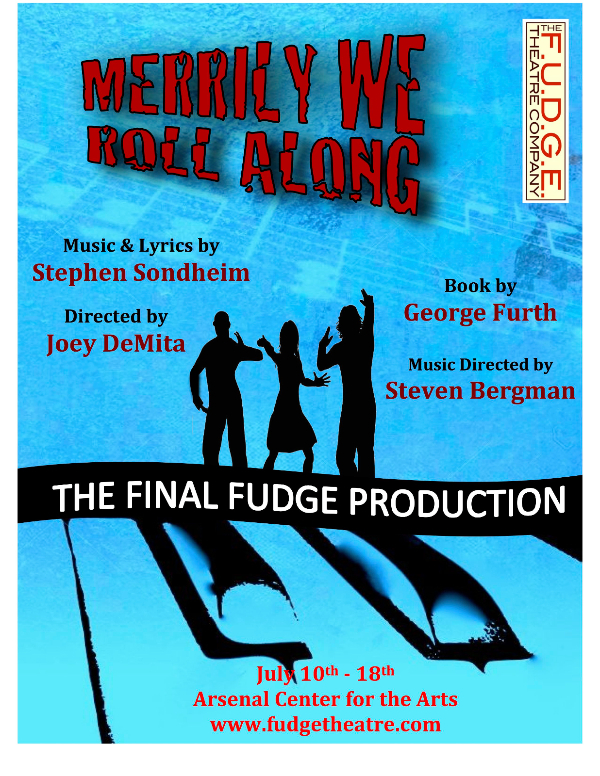 July 10, 11, 16, 10, 17, 18 at 8:00 p.m.
July 11, 12, 18 at 2:00 p.m.
MERRILY WE ROLL ALONG centers around Franklin Shepard, an extremely successful film producer who abandons his theatrical songwriting career, his friends and everything else to �go Hollywood� where he has achieved great wealth, fame and no one really knows what else. The musical goes backwards in time in order to reveal what significant opportunities were squandered by Franklin�s quest for prominence, eminence, renown and money. The lesson in the musical�s crystal-clear 20/20 hindsight is blinding. The score includes hit songs like "Not A Day Goes By", "Old Friends" and "Our Time".